Yoga is a profound system of holistic health which originated in India over 5,000 years ago. Yoga assists the participant in healing their body, mind and spirit. Many have claimed relief of pain, reduced stress and a more calm disposition. FreeSpirit Yoga offers classes for all levels and all abilities. 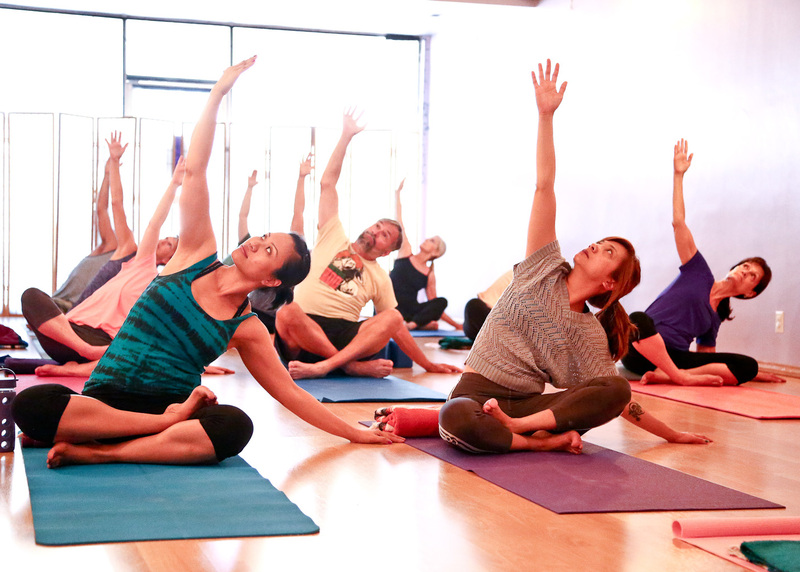 FreeSpirit Yoga has a variety of classes 7-days a week for all levels and all abilities. The doors open 15 minutes before classes begins, parking is in the back. Check our Class Descriptions to see which class suits you and your abilities. Welcome to FreeSpirit Yoga, enjoy your classes!